The most influential writer in all of English literature, William Shakespeare was born on April 23, 1564 in Stratford, England. His father worked selling leather and grains, and was a town official. He was the third child out of eight children. His mother, Mary, came from a family of prosperous farmers and landowners. On November 28, 1582, he married Anne Hathaway. She was the daughter of a farmer near Stratford. He had three children with her, two of them being twins. By the late 1590’s Shakespeare had established himself as a writer. In 1599, he founded the Globe Theater with 6 other associates. The new theater was an open playhouse in London. Shakespeare and the other 6 called themselves “The King’s Men” starting 1603 with King James I permission. Shakespeare was able to establish himself both as a playwright and a poet during this time. Shakespeare died on April 23, 1616. During Shakespeare’s time, most people were very superstitious believing in witches, ghosts, and other supernatural beings. This is reflected in much of the literature from that time, and especially in Macbeth. His career bridged the reigns of Elizabeth I (ruled 1558-1603) and James I (ruled 1603-1625), and he was a favorite of both monarchs. Indeed, James granted Shakespeare’s company the greatest possible compliment by bestowing upon its members the title of King’s Men. Wealthy and renowned, Shakespeare retired to Stratford and died in 1616 at the age of fifty-two. At the time of Shakespeare’s death, literary luminaries such as Ben Jonson hailed his works as timeless. Shakespeare’s works were collected and printed in various editions in the century following his death, and by the early eighteenth century his reputation as the greatest poet ever to write in English was well established. The unprecedented admiration garnered by his works led to a fierce curiosity about Shakespeare’s life, but the dearth of biographical information has left many details of Shakespeare’s personal history shrouded in mystery. 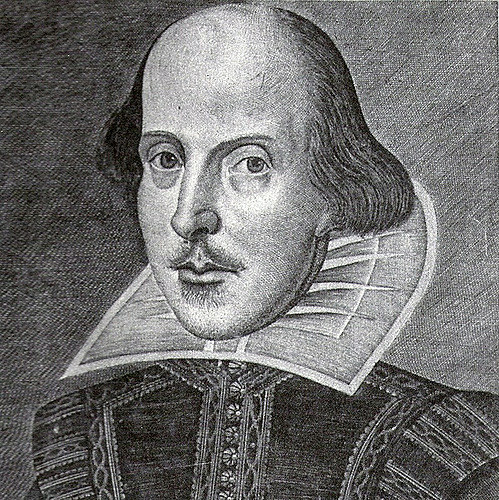 Some people have concluded from this fact and from Shakespeare’s modest education that Shakespeare’s plays were actually written by someone else-Francis Bacon and the Earl of Oxford are the two most popular candidates-but the support for this claim is overwhelmingly circumstantial, and the theory is not taken seriously by many scholars.